Sometimes you need help re-energizing and healing from injuries. Whether choosing a massage for relaxation or for therapeutic needs, massage creates ease, improves flexibility, decreases tension and stress, detoxifies the body, promotes healing and improves health. Wellness and relaxation are the essence of a balanced existence. Learn more about MS. SHAWN VERRIER. 24 Hours notice for cancellation is required for all appointments. Missed Cancellations notice, will result in a fee of $50. “I’m feeling much better, physically and emotionally.” H.P. “Oh I feel good, not so guarded and I want to stretch” G.NC. “A feeling of being light, feels good” P.D. “Feeling pretty good, more balanced” A. R.
“That was great, the tissues loved it” S. R.
“That was wonderful, absolutely bliss, good pressure, deeply relaxing” N.H.
“I can lift my knee higher, standing and walking, feels good” J.P.
“There is increased movement in lifting my arm up and back, with no hesitation. For the end of the day this is good.” T.D. “I’m leaving feeling much lighter and clearer. It feels good to take this away with me.” S.T. 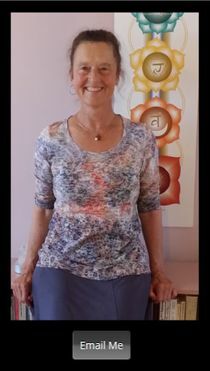 At Hands with Heart, Ms. Shawn Verrier offers treatments incorporating traditional Swedish Massage, Craniosacral Therapy, Trigger Point Therapy and Myofascial Release. Each therapy offers a unique way to support your body in achieving balance and wellness. When used together, the complementary effect brings about deeper relaxation, relief of discomfort and pain, improved balance and ease within your body structure and systems. Your session is customized to your body needs.